We are a cool jazz trio, featuring Derek Bean on piano, Jonathan Burgess on bass, and Jason Orme on drums. We often play with a singer as well, where this has been requested. 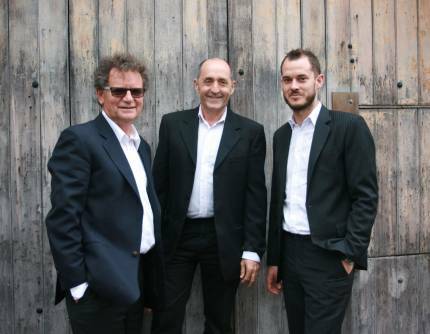 We play mainly jazz standards as background music for weddings, corporate events, private dinners, parties etc. Wherever we play we help set the atmosphere, and we’ve always received very positive feedback. We have no doubt that we can help set the atmosphere at your event too. Thanks again for your contribution to the Kiwanis foundation Dinner on Saturday night. Your excellent playing was acknowledged by many and it contributed to a successful evening.